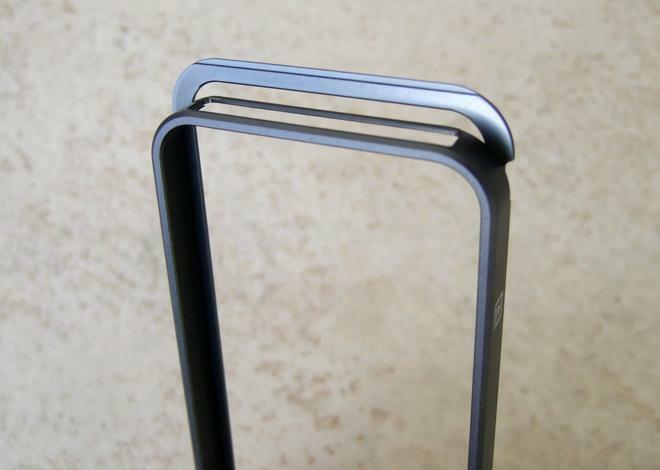 Designed by m has managed to craft one of the most exquisite and well designed iPhone bumpers we've ever seen  in fact "bumper" seems too unrefined a descriptor  but one flaw could mar for some people what is otherwise a nearly perfect companion to Apple's smartphone. The brainchild of Designed by m founder Lester Mapp, AL13 is the culmination of many days in the lab and one immensely popular Kickstarter campaign. Demand was so high that AL13 quadrupled its funding goal on the way to becoming the highest backed iPhone bumper in Kickstarter history, quite the goal for those not familiar with the crowd funding site and its many fledgling iOS device accessories. Mapp told AppleInsider the mantra of his company is to create products with a "clean, simple but awesome design." Sounds a bit like something Apple's Senior Vice President of Industrial Design Jonathan Ive would say. "When we designed AL13 we wanted to make something that looked like it came with the iPhone," Mapp said. "We were pretty anti-case when it came to our own iPhones. Why would anyone want to cover up anything as awesome as the iPhone?" Upon receipt of AL13, a clever homage to aluminum's symbol and atomic number, we were impressed at how closely the thin piece of metal mimicked the shape of the iPhone it was built to protect. 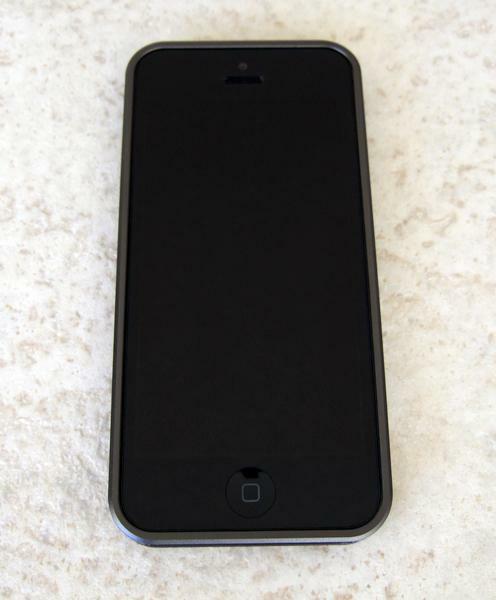 For reference, the model under review is AL13 for iPhone 5, in slate black. 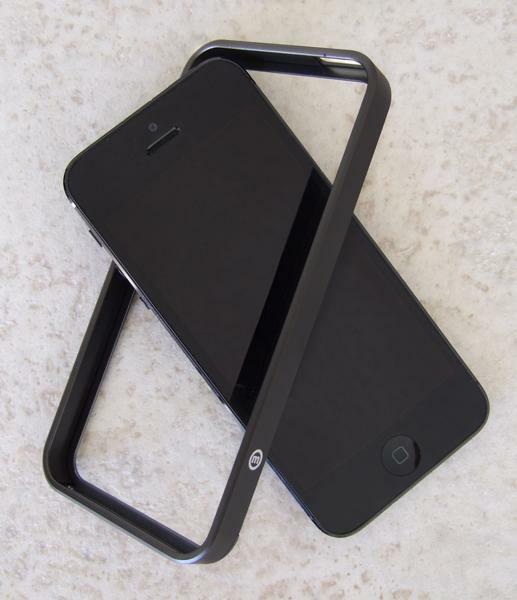 Designed by m also has an identical offering scaled down for the iPhone 4/4S. Most bumpers on the market today tend to stand out, at times intentionally so, with bold colors and designs that seem to contrast and diminish the sleek profile of the original device. Mapp agrees. "[W]e found other cases were doing just that; either covering the phone up, or changing its silhouette," he said. "AL13 is slim, extremely lightweight and built to blend in with the look of the iPhone." 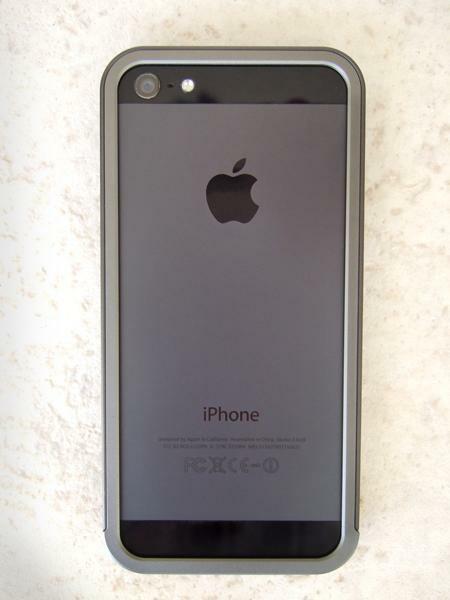 Design cues were obviously cribbed from the iPhone 5, like chamfered edges and an anodized, lightly textured surface. The finished product lends itself nicely to the handset. Using aerospace-grade aluminum, weight is kept down to around 14 grams, a specification Designed by m's website says is nearly half that of the average bumper. The iPhone 5's 112 grams, said by many to be surprisingly light, is veritably obese in contrast. When taking AL13 out of the box, its heft, or lack thereof, was noticeable. The bumper is very light. Despite the weight, AL13 is substantially rigid. Taking care of padding is a strip of dense anti-scuff rubber material which lines the inner walls. The medium also serves to keep the iPhone snugly in place during use. With all the prettiness going on, one could easily overlook what is probably the most ingenious attachment methods on the market. Instead of using screws, snaps, or other cumbersome forms of installation, AL13 harnesses aluminum's ability to undergo flexure. Simply lift the edge of rear cover, slide it out of the main chassis, slip in an iPhone, and replace. The assembly glides back into position with a satisfying "snick." Despite being easy to put on and take off, the attachment mechanism stays in place when dropped. We were unable to force the bumper off with drop tests onto wood and tile from three feet to five feet. The front and rear of the bumper are raised just enough to keep any exposed areas of the phone away from the ground. "The initial design featured an almost invisible rear cover, but we found that in cases of falls it wasnt staying in place, putting the phone at risk. So we altered the design slightly," Mapp said. "We made the rear cover a little wider, not wide enough to mess with our goal of not covering up the phone, but enough to increase its stability and eliminate the problem of it coming loose during falls." Tolerances are extremely tight, though we found that the iPhone would shift back and forth a touch if the included protective backing film was not used. No such slippage or rattling occurred with the film in place. Importantly, AL13 doesn't take away from the iPhone's thin design, adding just the right amount of girth to the handset. Buttons are easily reachable, as are the Lightning connector and headphone jack.